After my employment at the university has finished, may I bring home my old computer? 137. 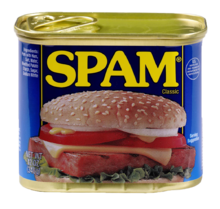 Help me I get so much spam! What can I do? See also: Troubleshooting mail - what can I do and whom do I ask? See also: What is ransomware and CryptoLocker? Spam is also known as junk email or unsolicited bulk email. Whatever name, it is spreading mayhem in the inbox. The university is using the SUNET Mailfilter for all incoming and outgoing mail. The antispam settings at the university were meant to be set at a reasonable level. If the rules are too tight we might miss proper mail. But it seems like the spam threshold has to be adjusted for the filter to catch the latest spam. Open the SUNET Mailfilter and login at Uppsala University with your account. Go to tab Quarantine Settings. Change Spam threshold to about 5. No mail that has been delivered to your account will be blocked. All that happens is that the mail is marked as spam and then automatically put in the Junk mail folder. Remember to check your junk mail folder once in a while. Read more about mail filtering at Uppsala University at Medarbetarportalen. You can also report spam to the IT security group at the university by forwarding it to no-spam@uu.se. If there is a directed attack at the university they appreciate different variants of the spam so firewall and anti-spam filters can be configured to catch it. Read more about IT security at Uppsala University.